WXYZ Editorial: Attention Washington; Don't slash Great Lakes Restoration Initiative funding! 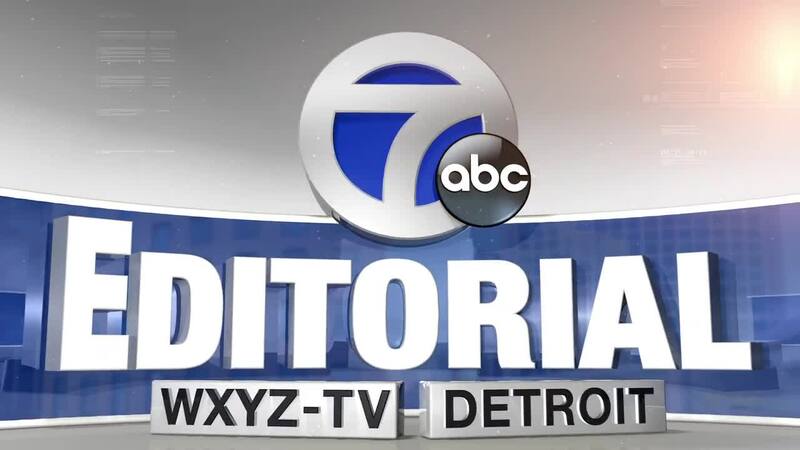 WXYZ DETROIT — We’ve addressed this issue before and our opinion hasn’t changed. We must protect Michigan’s abundance of safe freshwater and Great Lakes restoration funding. The White House recently released its $4.7 trillion budget proposal for fiscal year 2020. It wants to slash $270 million from the $300 million Great Lakes Restoration Initiative. That would be a huge step backwards and disastrous for this region’s greatest natural resource. Similar budget cuts were attempted the last two fiscal years. But wisely, a united and bi-partisan Congress voted to fully fund the initiative. Since the law was passed in 2009, the funds have been used to clean up the Great Lakes from invasive species, toxic substances and pollution. The five Great Lakes make up the world’s largest body of freshwater. More than 30 million people live in the Great Lakes basin. From recreational activities to transporting commercial goods, they are valuable assets. So much so that residents have vigorously fought states and companies over the amount of groundwater it extracts and the cost of controversial permits. These companies defend their use and their contribution to state economies. Either way, water clearly has value! We strongly support their “one Michigan” stand to vigorously protect America’s Great Lakes!